Based on decades-old financial structures, higher education institutions on both sides of the North American border are being asked to do more with less. The economic model of Canadian universities needs a reality check. Over the past two decades, Canada’s universities have been expected to improve access for underrepresented groups; increase enrollment significantly; expand research efforts; build partnerships; and become social and economic development catalysts at the local, regional, and national levels. In effect, institutional mandates have expanded dramatically, yet the economic model has not been adjusted to the new reality. While Canada’s universities can point to measures of success on all of the preceding fronts, a sense of unease has settled on the postsecondary landscape over the past several years. The heady expansionism of the new millennium ran into the sober realities of the global financial crisis and demography. The former magnified the vulnerabilities in pension financing and marked the beginning of a prolonged period of government constraint. The latter, in some regions, translated into enrollment declines with direct financial consequences. At the institutional level, financial challenges that appeared manageable in an expansionary period were sorely tested as institutions grappled with the increased financial pressure on a number of fronts—pension liabilities, the ‘real’ costs of research, and the reality of labor markets in a knowledge-intensive economy. Coupled with a serious and growing deferred maintenance liability, the preceding factors created a perfect storm and led some to question the sustainability of the existing economic model. To address the question, I was commissioned by the Canadian Association of University Business Officers (CAUBO) to prepare a report aimed at developing a better understanding of the cost pressures facing universities and the structural challenges of the current Canadian economic model. One of the key findings of the report, Canada’s Universities: Cost Pressures, Business Models, and Financial Sustainability, is the structural deficit associated with the expanded mandates of many institutions. The report is available by clicking on the “Resources + Publications” tab at the CAUBO website at www.caubo.ca. Over the past 15 to 20 years, we have seen a shift toward a greater emphasis on research and partnership development as institutions embraced the government-sponsored “innovation agenda.” Those activities brought additional costs to the institutions, even though the basic revenue or income model—largely based on enrollment—was not adjusted to accommodate the expanded role. The revenue part of the economic model failed to recognize the full cost implications of a shift in faculty workloads and the substantial indirect and direct costs of research and partnership building. Here’s how it happens: To fulfill research demands, faculty workloads shift—teaching loads decrease and research loads increase. With little or no new money to recognize that faculty are necessarily spending more time on research/partnerships efforts, the university is faced with the task of trying to cover the teaching requirements. The results are predictable: increased class sizes, increased student-faculty ratios, more part-time and teaching-only faculty, and too few full-time faculty to meet the demands. At the same time, institutions have to cope with the realities of the indirect costs of research and find the resources to encourage partnership ventures with private and public sector organizations. The level of government involvement in Canadian institutions is relatively high. We have a model in which federal and provincial governments are involved in different ways; yet, at times, they end up squabbling over financing and priorities. The provincial governments have the basic responsibility for higher education. They are the primary source of operating grants to the institutions, and have a major role in student assistance, capital projects, and some research. The federal government contributes to highereducation indirectly through transfer payments to the provinces and directlythrough federal research agencies and via a national student assistance program—the latter in concert with the provincial partners. The provincial government controls or influences many aspects of higher education. Roughly 90 percent of operating funding (grants and tuition) is determined by the government in each province. Through funding, program approval regimes, regulations, and legislation, governments steer institutions with respect to alternative postsecondary pathways; access for underrepresented groups; human resource planning (particularly in public sector fields such as teacher education and health disciplines); program “mix;” and, in some provinces, compensation frameworks. 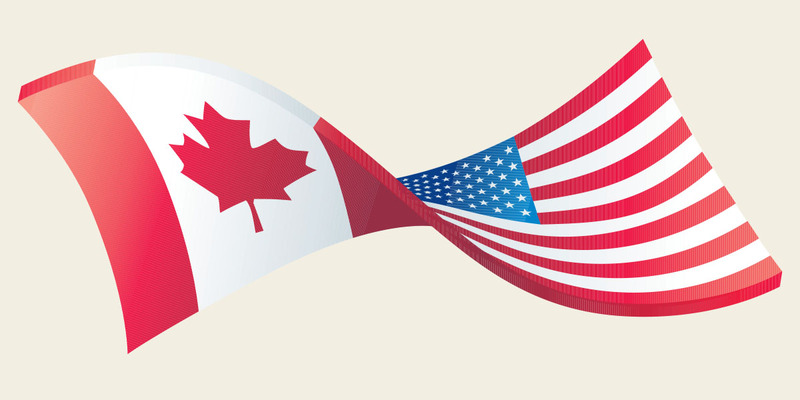 Like those in the U.S., Canadian public institutions vary dramatically in size, from large research universities such as the University of Toronto with 85,000 students, to much smaller primarily undergraduate institutions such as Mount Allison University in New Brunswick with 2,500 students. Canada’s few private institutions tend to be relatively small and, often, religious in nature. The diversity and differing circumstances of Canada’s institutions mean that the source and intensity of the financial challenge varies by institution. All cope with the annual challenge of trying to balance budgets in an environment where governments seldom recognize sector-specific inflation—or, for that matter, general inflation—in deciding grant and tuition levels. Institutions affected by pension liabilities are seeking solvency funding exemptions (having had to pour millions into their pension funds over the past decade). Others are coping with decreased enrollment and actively seeking out new “markets.” A few have embarked on prioritization exercises, while others have initiated revenue diversification strategies involving new markets (international, post-degree, and distance education) and a greater reliance on private giving and private sector partnerships (fund-raising, donor development, and contract research). And some institutions have simply increased enrollment, largely at the expense of their sister institutions. Many are trying to do all of the above. And that, unfortunately, is a key problem; few institutions actually have the management capacity. Before starting new revenue diversification initiatives, business officers on both sides of the border should ask tough questions and conduct a thorough business analysis. Institutional leaders must understand the full impact of new initiatives in terms of net revenue and think hard about their real mission and mandate. As times get tougher, institutions can “run off in all directions” and get involved in activities and initiatives that ultimately end up testing the capacity of the institution, its leadership, and governance. Institutions need to take a hard look at their current activities and aspirations—“tough times” mean you can’t do everything. KEN SNOWDON is president of Snowdon and Associates, a higher education consulting company based in Ontario, Canada. Over the course of the last year, we have learned an irrefutable truth: The status quo for many colleges and universities is not sustainable. We have a high-tuition, high-aid model for which families increasingly are not willing to pay. Many in government, the press, and on Main Street question the value of a college degree despite widely published data that supports the conclusion that an investment in higher education pays off both qualitatively and quantitatively over one’s lifetime. While very few families currently pay the full sticker price at either public or private universities, at what point in the future will the American public balk at high tuitions and say, “We will not pay $60,000, $70,000, or $80,000 for an undergraduate degree?” That’s the strategic challenge our member institutions and their business officers currently face. To move to a new economic model will take courage and risk taking, but if we continue to manage around the status quo, we will force others, such as state legislatures, Congress, and markets, to dictate change to us on their terms. Those in higher education who believe that state governments will ride in and rescue us with increased state appropriations are—we hate to say it—delusional. That is not going to happen. That paradigm has changed. Expenses for correctional facilities, Medicaid, K–12 education, and infrastructure have crowded out the ability of states to fund the current economic model upon which higher education has been built. We are not alone in this financial dilemma. Our northern neighbor is dealing with similar issues. Canada’s provincial and municipal governments are also under financial stress. Yet both countries’ governments are feeling the pressure to keep tuitions low. It’s the constant tension between affordability and access. The U.S. government, in the past, has provided funding streams for both general research and applied research. Even though funding doesn’t cover the entire cost of research, it appears that we are in better shape than the folks in Canada. Resource allocation. Financial aid, athletics, infrastructure, research, and personnel budgets all compete for dollars. Many institutions hope that they can solve their problems by increased philanthropy, which translates into more colleges and universities chasing the same dollars. Gifts and philanthropy are not benefitting all institutions equally. The largest gifts are benefitting a small number of elite institutions. We are at a point in higher education today where we need to change the economic model. We intentionally call it the economic model, rather than business model, because the definition of economics is “decision making involving scarcity.” That’s exactly the situation we’re in. Leadership and management teams at colleges and universities have to make decisions with resource scarcity, whether that’s money, or people, or buildings. Labor-intensive organizations. Because we’re such a labor-intensive industry, the largest slice of most operating budgets is consumed by salaries and benefits. At many institutions, personnel costs consume between 60 and 80 percent of total expenditures. That’s why economic models haven’t changed. People insist, “Higher education is not a business.” Well, in a sense we are. We are a $520 billion industry with payrolls that organizations need to meet. Our member institutions are often the engines that drive the economies in their region. Economic model sustainability requires honest assessment of where your institution fits in the higher education ecosystem as well as financial and organizational discipline. Capital-intensive processes. Our member schools require large new capital investments in technology, facilities, and renewal and replacement. The issue of deferred maintenance in universities, in both the U.S. and Canada, continues to be significant. External environment pressures. Even though they are charged with running the organization, the president and leadership team must rely on external influencers, such as legislatures, politically appointed boards, accrediting bodies, parents, and students, to assess and decide their institutions’ financial futures. In short, complexity is the norm in higher education decision making. New leadership requirements. To adjust our economic model requires bold leadership. After meeting with business officers, presidents, provosts, and other leaders from around the country in workshops and focus groups, leadership issues identified include: no-confidence votes, the inability to make difficult decisions, a lack of vision or planning to get to a sustainable economic future, resistance to change, the complexity of our organizations, and a tendency for analysis paralysis. If we continue to move forward with the status quo,we put our collective missions of teaching, research, and service in jeopardy. American higher education has played an enormously positive role in the history of our nation. In fact, it is often seen as the standard to which other nations aspire. The goal of NACUBO’s Economic Models Project is to aid in the discussion of how our member institutions adapt to our economic reality and move to or maintain economic sustainability. BOB SHEA is senior fellow, finance and campus management; and JACKIE ASKIN is project manager, Economic Models Project, NACUBO. Cost controls. Faced with financial challenges caused partly by declining government revenues and fluctuating market conditions, institutions are rethinking their focus and strategic intentions, taking a hard look at labor costs, and reducing the range and breadth of their activities. “They are looking initially at increasing the international student population in their institutions (who pay higher fees), at employer or government-sponsored programs and other initiatives, all of which are intended to either sustain or grow registrations and retention while increasing revenue,” the seven-page report explains. The implications of this trend could be disruptive and may lead to some failures, the report warns. Demography. Canada’s birth rate remains low—except among Aboriginal communities and recent immigrants. The population will grow primarily through immigration. By 2030, three in 10 Canadians are expected to be from a visible minority. This demographic change will result in a more diverse and complex mix of students, many of whom will not consider their first language to be English or French. Changing expectations. “As students pay more of the cost of their own education, they demand more in terms of quality, relevance, and engagement,” according to the report. Students want access to quality programs that are delivered with flexible options, as well as shorter-than-average programs that accept credit transfers and work-based learning credit. For more information, visit www.contactnorth.ca.